Red Dog DVD and Blu-ray release date was set for November 6, 2012. 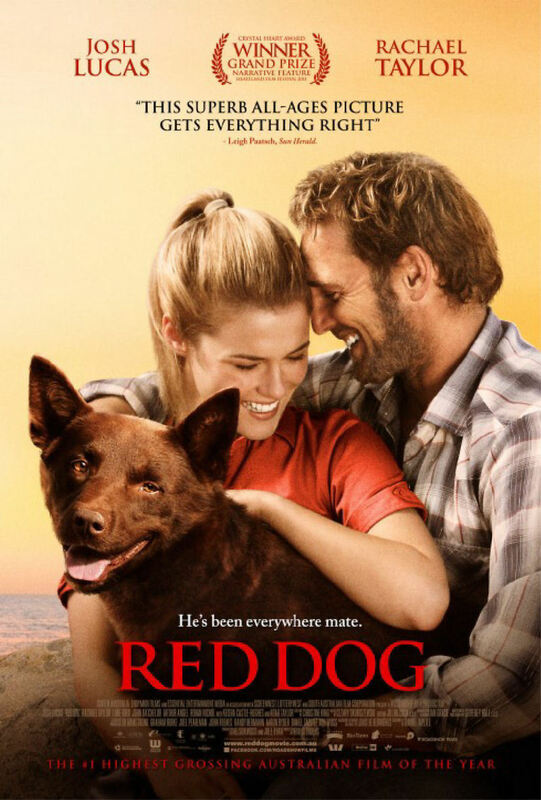 Based on the incredible true story of a lost dog whose journey home leads him to a series of new loving and faithful owners when he is adopted into the communities he passes through, "Red Dog" is an uplifting tale of friendship, home and love. Wandering throughout the Australian outback, Red Dog becomes a beloved member of each and every town, family and community he roams through. Chronicling his time with Hamersley Iron in Dampier, an American bus driver called John Grant and a miner called Jocko, "Red Dog" is a wonderful story about man's best friend.